Two Korean-American brothers are caught up in the effects of the 1992 Los Angeles riots. Anyone who graces the comfy chairs or the homely feeling of the cinema theatre knows that movies divide opinion and cause serious debate on many different levels. Indie flicks, in particular, are the film critic’s holy grail as they can result in the greatest polarisation among audiences: they often come up short in successfully registering with viewers yet appeal to critics and vice versa. What is certain here, however, is that, despite a relatively slow first act, Gook is a refreshing film on the indie scene and will appeal to the majority of cinema-goers as it delivers a unique plot featuring raw story telling at its best. Written and directed by Justin Chon, the film is set in an unsettled 1992 Los Angeles. It centres on the ‘American dream’ of Eli (Chon) and Daniel (David So), two Korean-American brothers, and follows them on the first day of the post Rodney King trial LA riots. They own a struggling women’s shoe shop in Paramount, California and have a close relationship with a street-wise African American 11-year-old, Kamilla (Simone Baker). A warm bond is formed among the trio as a result of Kamilla ditching school to hang out and work at the shop. The movie depicts a normal day at the shoe store - that is, until the extremely controversial verdict of the trial is announced and violence and chaos erupts in many districts of the city. Although the store manages to avoid the brunt of the riots, Eli, Daniel and Kamilla have their own problems. The trio are involved in regular verbal fights with a nearby shop owner, Mr Kim (Sang Chon), and are exposed to constant racism and vitriolic sentiments. This culminates in a life changing feud with Kamilla’s older brother, Keith (Curtiss Cook Jr), something which leads all involved to question their own futures and the real meaning of family. 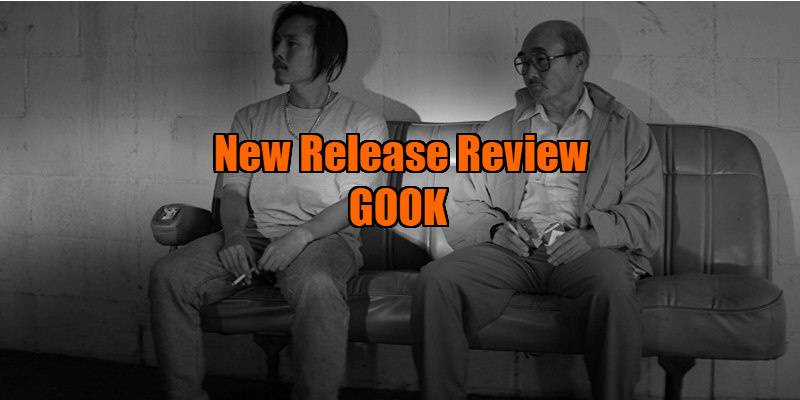 As Justin Chon’s second feature film, Gook is a genuinely impressive project of cinema. His time, effort and vision of the last three years inhabit the screen on a threefold basis: as writer, as director, and as actor - a positive which is not easily achieved. By focussing on a story based in the communities in the surrounding areas and not simply at the epicentre of the violence, Chon enlightens viewers by enabling them to absorb the less well-told Korean-American experience of the LA riots. Not only that, but the way in which he stylishly showcases the futility of hatred and its avoidable consequences in such a simple yet effective way is a really engaging aspect of this film. These consequences of hate fuelled assault and hate crimes affect society just as much now as they did then. Through that achieved, on-screen and on point connection to the world of today, Chon manages to engineer truly gripping scenes throughout, but especially on two specific occasions. Firstly, when Eli explains to Kamilla why his car was ‘tagged’ with the word ‘Gook’ and its definition. Secondly, when Keith finds out his little sister has been hanging around ‘with those Gooks’ and as a result, acts violently towards the young girl. Both scenes act as a contrast of where Kamilla was when she still retained facets of her childhood innocence, and, in the latter scene, where she is towards the end of the film - it’s clear that Kamilla’s childlike traits are being stripped from her. In terms of the script, each of the principal characters has their own well-written part. The big surprise, though, is how the pretty much unheard of cast of actors pull off such memorable roles with so much finesse. Chon is fantastic as Eli, and although the inexperience of Baker and So is apparent in a few instances, both actors still provide impressive feature debuts. With that said, Cook Jr is the real gem of this movie. He makes the role of Keith a fascinating character to watch and he simply excels at offering up a genuinely harrowing performance as the patriarch of Kamilla’s family set up. Technically too, this indie film does well, a rare decision to shoot in black and white adding yet another layer to its uniqueness. This helps build the drama, as the viewer is not distracted by fulsome colour (which may well have detracted from the history which informed the film) and we are allowed to concentrate solely on the unfolding story - a nice touch which is overlooked in many modern films. At first, Gook struck me as an average indie film going through the regular motions. As it progresses on screen, however, its script, direction and talented cast combine to ensure it blossoms into a really decent piece of cinema. Justin Chon’s future as a filmmaker certainly seems bright - watch this space. 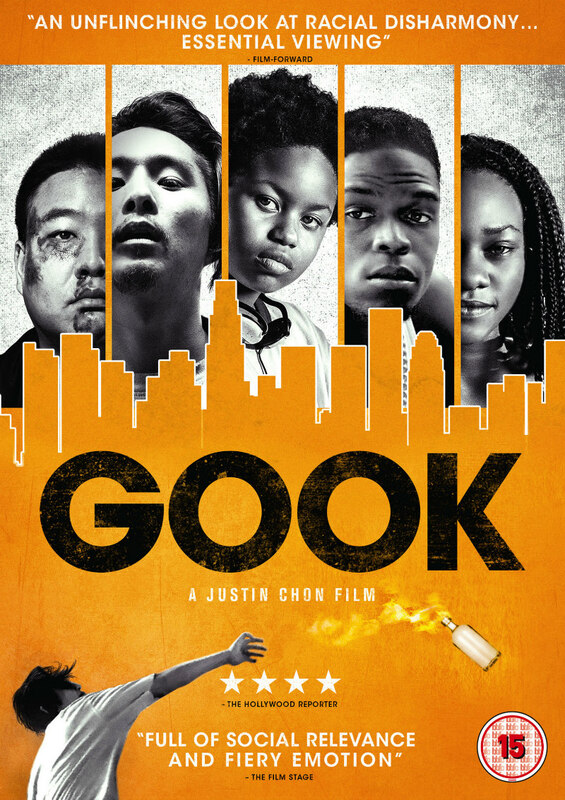 Gook is on DVD/VOD now.